In 2014, the government may lift the threatened species status of the grizzly bear. 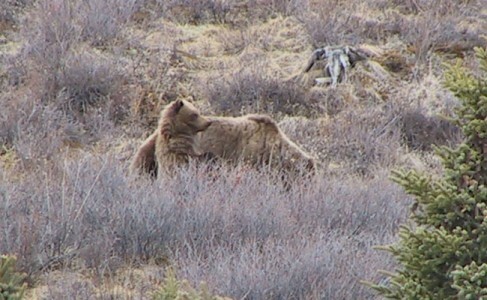 Wildlife managers say the grizzly population has recovered to a point where limited hunting could occur. There are around 600 bears near Yellowstone National Park and around 1,000 bears near Glacier National Park. In Montana, Idaho and Wyoming, bear and human encounters have risen in the past couple of years. Next week, there will be a meeting in Missoula, where federal and state committees will meet to discuss a hunting policy, when the bears lose their federal protection. In Canada and Alaska, hunting for grizzlies is legal and hundreds are harvested each year. To read more on this story, check out this article from the AP.